Google Assistant is like Amazon Alexa, Microsoft Cortana and Apple Siri with its voice assistant. Google Assistant is an iteration and upgraded version Google Now personal assistant of “Ok Google” voice control.“Ok Google” cover voice commands, voice-activated device controls, it will allow you to send messages and many things through your smartphones, iOS and Android devices. Everything about Google Assistant Shortcuts is explained here. Google Assistant is soon available in all smartphones running Android, Marshmallow and iOS software. To start working with the Google Assistance, it will let you register your voice commands on “Ok Google” command. You can switch to Google Assistant by performing through manual selection, pronouncing verbally and typing the commands. Google Assistant is a smart home speaker that it is an easy way to trigger lengthy commands with a word or a phrase. You can operate it with easy commands, typing on google Assistant or with the voice commands. To set up Google Assistant shortcuts to Netflix just say “Movie Time” if your TV works with Netflix broadcasting. Google assistant is a conversational tool, you can ask a question and it will track get replied from assistant and it can audibly respond by right information. Beneath that, you will see “Ok Google’ detection” just tap on it. After that just turn on “trusted voice” to give assistance permissions to unlock your device. If you say “Ok google” that sounds matches to the previously you said to register your voice to start up google Assistant. Under the “Google Assistant’s settings “, scroll to “google account settings”. Beneath, you will see “Personal info” option just tap on it. There you will see some personal info option to set your Home and Work locations. Tap on “Home” option enter the address and location manually if you use the same location previously that is already saved in your assistance. Tap on “Work” option enter the address manually to feed in the assistance. For the next time no need to add locations manually if you say “Home or Work” locations, it will automatically lead you to that location. Under the “Google assistant’s settings”, scroll to”google account settings”. Beneath that, you will see “My Activity “option tap on it to know your complete activity list. That will give you”controlled data generated by your assistant”, a scroll down list of your activity on the google assistant. Here are the some of the options that your google assistance say and do the things through your voice commands and using your pixel screen to press and hold on it. If you would like to ask google assistant to play some music, say, “Ok Google” followed by options that ion your mind like “play some workout music from YouTube”, “play some classics from YouTube”, “play some music from playlist” or “listen to Bafikar”. If you have got more than one music apps on your smartphone you can go and select an option. Or you using Spotify on another device, google assistant can control it where you are playing. To watch movies on Netflix or to open Netflix to watch something just say, “Ok google” followed by the commands what you would like to watch “ Watch Commandos 2 on Netflix”. Then it will open Commandos 2 movie on Netflix. Or if you say “Watch Gladiators of guardians 2 on Netflix” it will open the same movie in Netflix. You can ask an assistant to listen to the news source you have on your phone, say “ok google” or hold on a home button “telecast international news on Netflix” “News about pop Madonna on YouTube”. It will automatically present news about madonna and international news on Netflix TV What you have pre-selected sources. To ask an assistant to open any app for you say, “Ok google”, “open YouTube”, “open Amazon”,”open WiFi settings”. It will open an app what you have assisted. Google assistant will help you to open, to set any reminders for your day to day life. Suppose you want to assist take a selfie, say “Ok google” followed by a command “take a selfie”. It will automatically open the camera to take a selfie with start 3, 2, 1 countdown. Get ready for the selfie. Google assistant will help you in all your daily activities. That will set a reminder for you, take a selfie, turn on/off the flashlight, get directions, play games, to set your emails and many things. You can ask questions regarding something to know from Google. 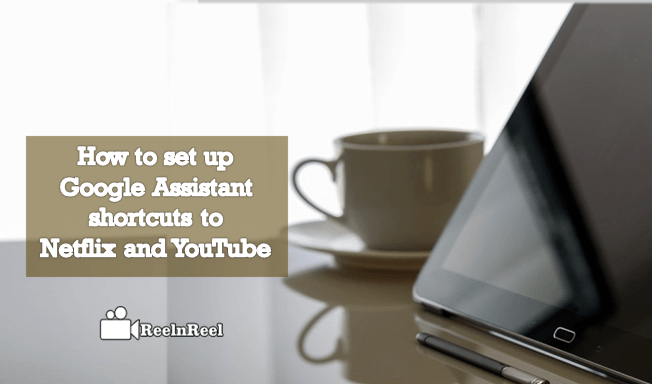 This is the ultimate guide for Google Assistant Shortcuts, which is your best partner to assist you with all daily things.